You have me at Tessa Thompson. She's been on an incredible roll ever since Dear White People, and it doesn't seem to matter whether she's in blockbuster mode as in Thor: Ragnarok and Creed, or in experimental territory as with Sorry to Bother You. 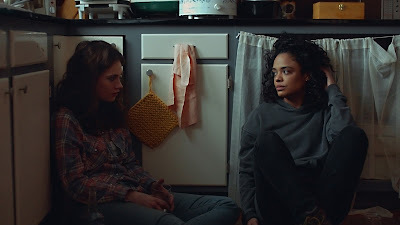 Thompson is great no matter what, and the reviews for her performance in the festival favorite Little Woods have been glowing. Premiering at last year's Tribeca Film Festival, Little Woods stars Thompson as Ollie, a North Dakota woman who was busted bringing drugs over from Canada to aid her sick mother. She's been trying to stay on the right side of the law ever since, until her sister arrives in desperate need of help and the only way out is for Ollie to get back into the drug business. The film co-stars Lily James as Thompson's sister, plus James Badge Dale, Luke Kirby, and Lance Reddick. Being the camera is Nia DaCosta, who Jordan Peele recently set to helm his Candyman reboot. Those curious about that might want to get an early look at her work here. 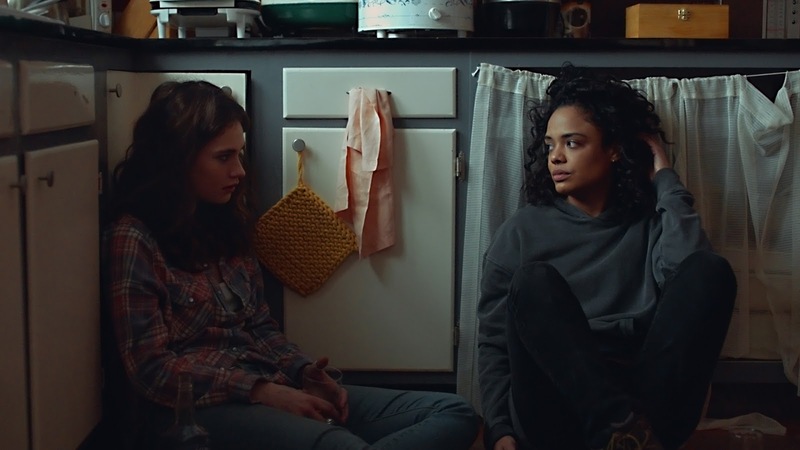 Here's the synopsis: Ollie (Tessa Thompson) is a reformed drug runner in an economically depressed small town in North Dakota, who was caught coming back from Canada with medicine for her terminally ill mother and has been toeing the line ever since. After her mother dies, Ollie’s sister Deb (Lily James) shows up on her doorstep with a hungry child and an unplanned pregnancy. Ollie can only see one viable option: quickly raise money to pay back the bank and hold onto their mother’s home, so Deb can raise her family safely away from her abusive ex. But to do that, she’ll need to return to the dangerous way of life she thought she’d left behind. Little Woods opens on April 19th.